On the 1st October, an eye-opening report* established that 27% of over 75s often or very often feel lonely. Shockingly, it’s estimated that more than one million** older people – over the age of 75 – can go over a month without speaking to a friend, neighbour or family member. Isolation often leads to many more complex mental health issues compounded by a lack of exercise, fresh air or a breakdown of communication with friends and family. But how do you recognise those initial signs of loneliness? 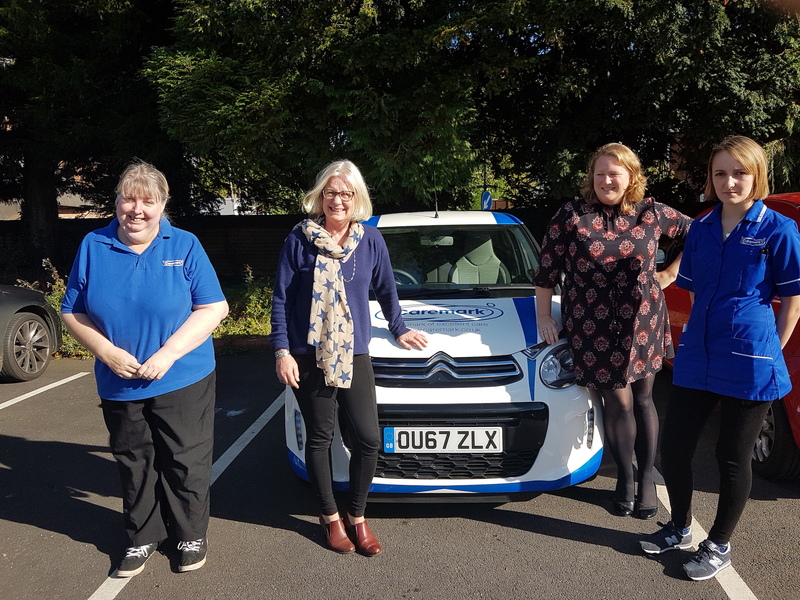 Janis Anderson, who runs in-home care business, Caremark, often witnesses, first hand, the implications of loneliness and isolation on the elderly and vulnerable. Here, she gives advice on how to spot the signs of loneliness and how to support your loved ones during solitary times. Our elderly relatives can become isolated for a number of reasons. Perhaps you don’t live nearby, so regular visits aren’t an option, their partner is no longer around or they’ve recently lost access to their own transport. Don’t assume that your parent or grandparent is receiving regular visits from friends – even if they tell you they are – as they may feel as though they don’t want to burden you. A great way to ascertain whether or not a loved one feels lonely is by tackling the issue head on. Make regular phone calls, of around 10 minutes a day, asking what they’ve been up to. If you’re speaking regularly, chances are they will communicate honestly about their daily routine, allowing you to pick up on any gaps in their contact with the outside world. So, you’ve had that conversation and are beginning to become concerned about someone’s lack of human interaction. The good news? They have you! If regular visits aren’t always manageable, continue with those phone calls, or plan in a series of day trips for your parent or grandparent to plan for or look forward to. Suggest local community groups or coffee mornings – you can search for ideas on the web – and, if they have issues with mobility, get in touch with a local care provider and ask how they can support people to get out and about or just providing regular periods of companionship in the home. Is loneliness something you can ‘treat’? It’s important to understand that isolation often leads to other problems. Loneliness can cause a lack of motivation, so they may lose interest in cooking for themselves and they could even stop leaving the house altogether. Left unacknowledged, a gradual lack of motivation can lead to serious issues with mental health, as this ‘hopeless’ behaviour can promote a cycle of increasing isolation. If there has been a loss of mobility, due to old age or accident, small but significant alterations can be made to ensure that your parent or grandparent can continue with life in as normal a way as possible. Speak with your GP or local care services about the option for an in-home care plan. Regular visits from a care professional could tackle two problems in one – it provides that all-important human contact from someone who has your loved one’s best interests at heart, who can also help with everyday tasks around the home.